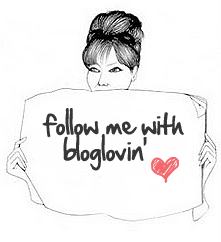 I have some exciting new to share with you all. 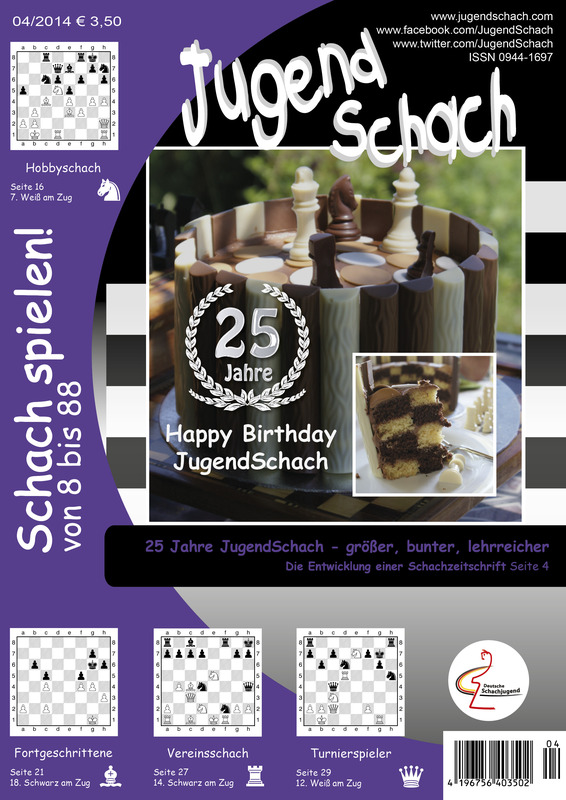 JugendSchach is a German chess magazine for youths interested in chess. The magazine is celebrating 25 years of up to date news, games, analysis and features and guess who is celebrating with them on the cover of their magazine? Yes, me!! Well not me personally but one of my cakes. This is quite exciting as my Father’s Day Chess Cake has made it to the front cover of their April issue. You can see more photos of the cake here as well as how to assemble the cake to get the checkered pattern. If you are interested in the JugendSchach magazine (in German only) please click here. 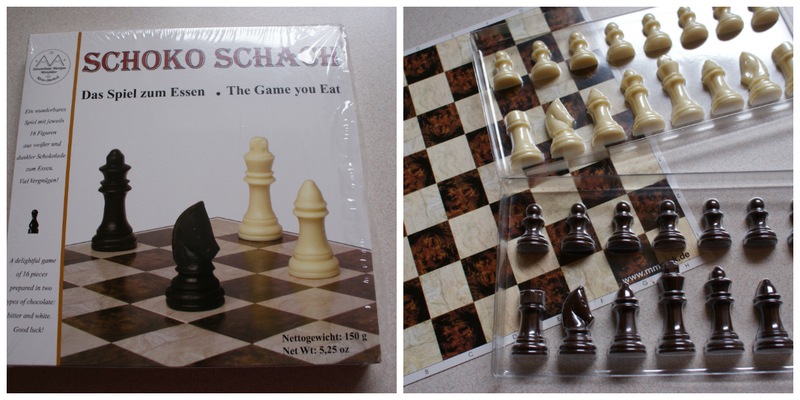 The fun edible chocolate chess pieces are available here from EuroSchach.